One of the reasons...okay, the main reason I love shopping in Whole Food's is because they always have different companies in there handing out free tasters. Yes, this is partly because I'm greedy and always on a budget (free food, jackpot!) but it's also because it means I stumble across amazing brands like Pulsin. I fell in love with these bars a few weeks ago when I got to talking to the really friendly lady who was handing out tasters in the Richmond branch. She told me that their slogan is "full of goodness, low on guilt" and it couldn't be more true! 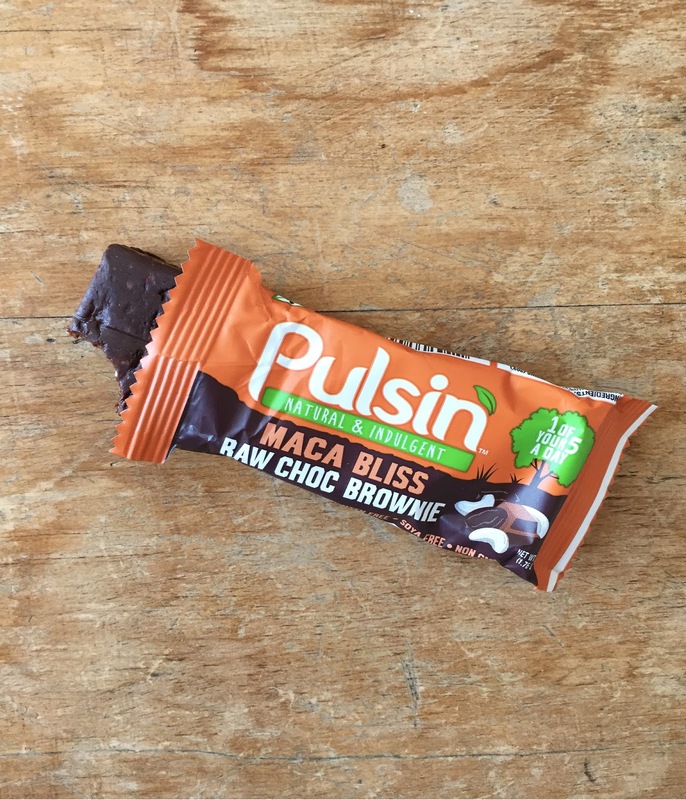 These fudgy, delicious bars are packed with amazing ingredients like goji, maca, almonds and cacao which make them the perfect natural way to boost your energy. They come in the form of raw brownies and protein bars. 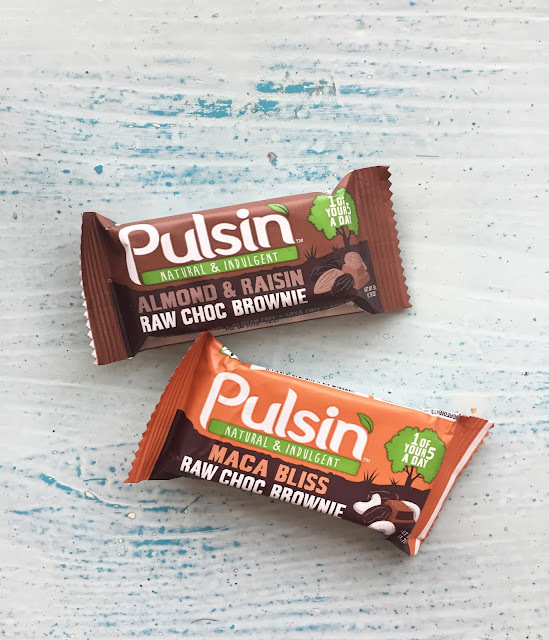 The brownie's are ideal for an afternoon energy slump because they contain dates and nuts, which cause your energy levels to rise and fall gradually rather than spiking and dropping after you've had something like a chocolate bar. 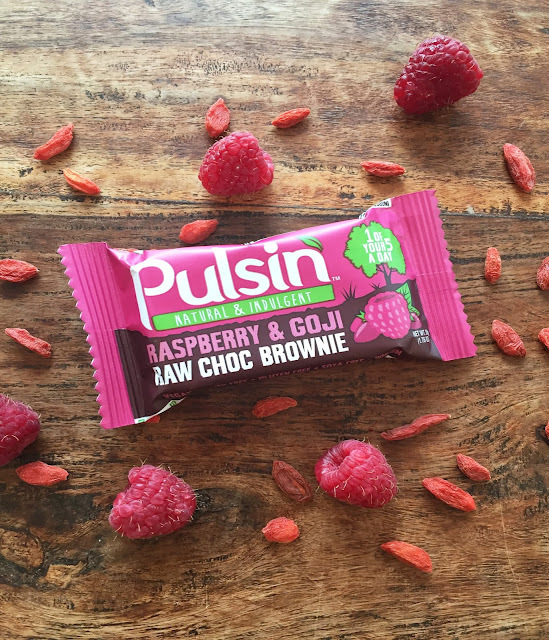 The flavour combinations are completely dreamy (hellooo raspberry and goji I'm looking at you) and the texture is so chewy you feel like you're tucking in to a real brownie. 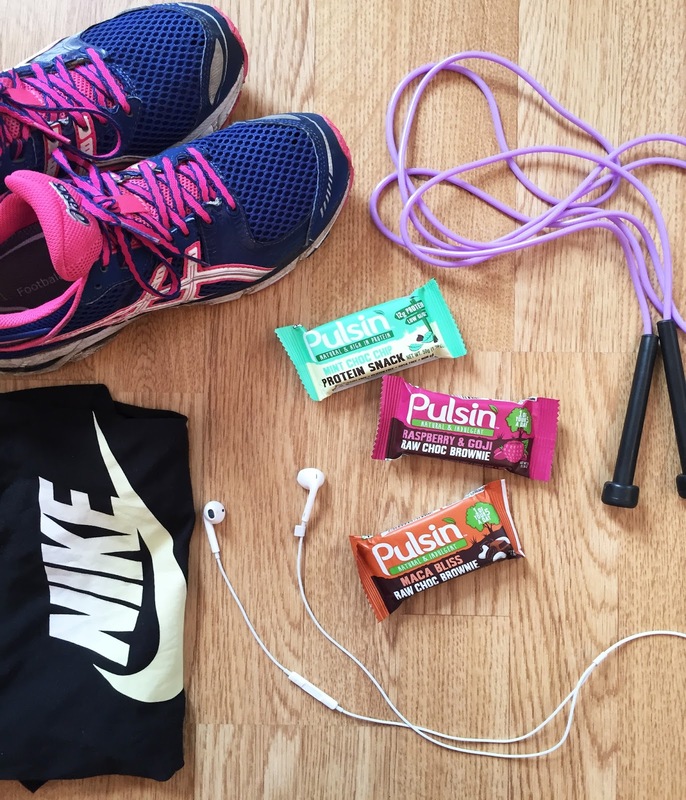 The protein bars are great for a post-workout snack, especially if like me you go to the gym in the mornings and need a balanced portion of protein and carbs to eat on the go. (I follow mine up later with a green smoothie for breakfast). I actually find that they're so full of incredible, filling ingredients that I only need half a bar at a time, which means they last twice as long (although it takes serious self control not to cram the whole thing in at once.) Just like with the brownies, the protein bars contain all natural, delicious ingredients like real peppermint oil, cacao butter and nuts so you're fuelling your body with the best things possible. I don't understand people who go to the gym and then have a "power bar" filled with artificial ingredients with names so long you can't pronounce them. Talk about one step forward two steps back! I love the story of how this company came about; 3 students who had a dream and worked all night after finishing their day jobs to make people happy and healthy with their nutritious, incredible tasting products. What I really admire is their strong beliefs about sourcing sustainable produce and using materials which are as earth-friendly as possible. These bars really are guilt free in every sense! A huge thank you to the wonderful people at Pulsin for sending me these bars.